Lucas, Scott, and Larry with Larry's 1949 Chevy truck. 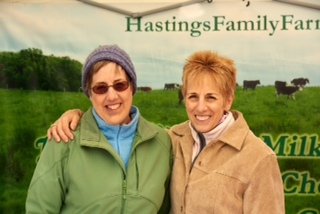 Hastings Farm is a multi-generational dairy farm located in Suffield, Connecticut. Our dairy farm began when Howard Hastings diversified the family's tobacco farm by adding a small dairy herd. 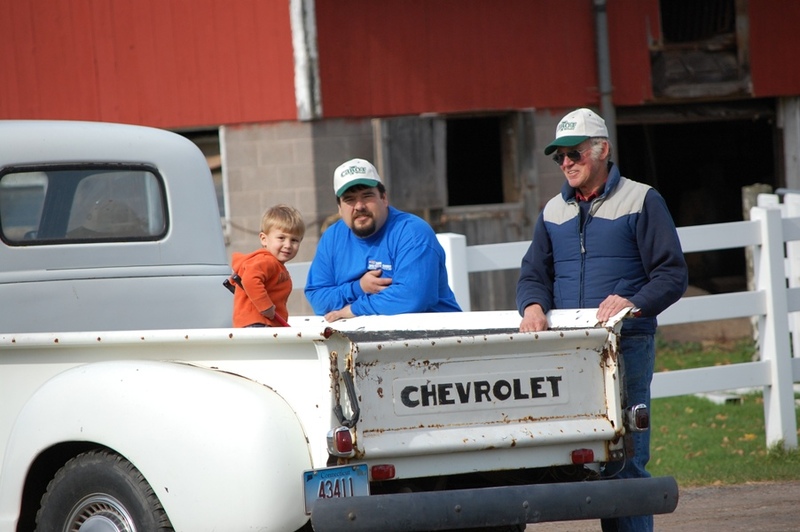 His son Richie grew the farm, and Richie's son Larry and daughter-in-law Susan expanded the dairy farm to where it is today. 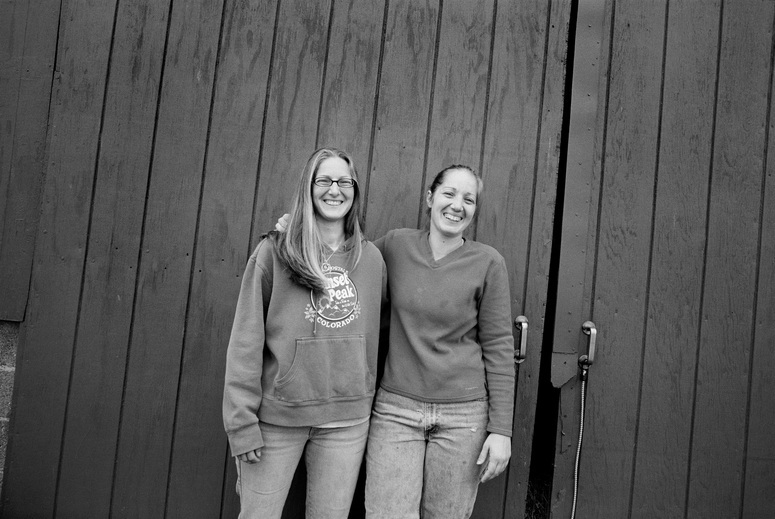 Megan and Lauren, the fourth generation of Hastings to dairy farm, are carrying on the family tradition while trying to make it their own. In recent years we have again diversified the farm from strictly dairy production and expanded into natural beef and the processing of our own milk. We milk a mix of approximately 100 Holsteins and Jerseys in the dairy herd, and maintain a small beef herd. The cattle range in age from just shy of 12 years old to only a few days. Our cows are milked twice daily, at 5:30 am and 4 pm. Stop in often and visit the calves - they love attention. Visitors are always welcome to come meet the cows that make your milk and learn about our farm. Watch this spot change on our Construction Gallery page! This is the location for the barn addition to house a robotic milker. 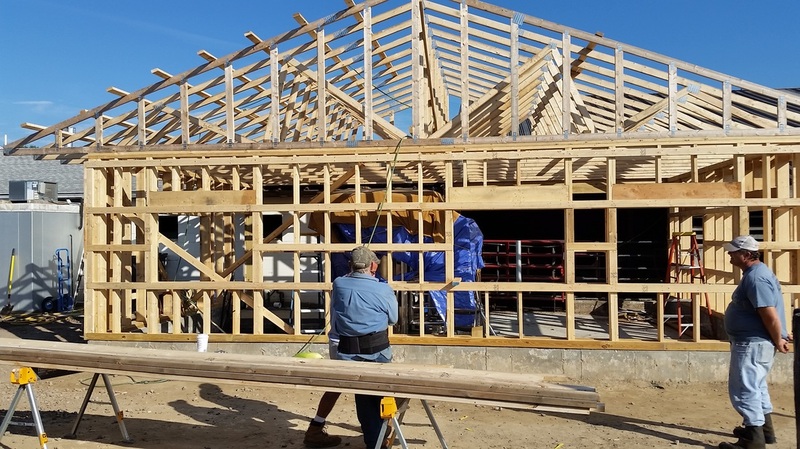 Check back to watch the progress! Then come visit to watch the robot milk the cows for us. Lauren and Lucas, who is part of the 5th generation! On the farm, we have a retail store that was built in the winter of 2011. We're open Monday through Saturday from 9 am-6 pm. In the store, you'll find our natural Beef and dairy products. We want our store to not only benefit us but also the other farms around us, so our seasonal offerings include their products, too! Stop in often to see what’s new at the farm.